The French Senate has voted in favor of a resolution designed to lift EU-imposed sanctions slapped on Russia in 2014 over the crisis in eastern Ukraine and reunification with Crimea. The proposal calls for a "gradual relief" of restrictive measures imposed by the West. The vast majority – 302 senators – voted for the move, with only 16 being against the lifting of anti-Russia sanctions. In all, 335 politicians were present at the meeting in the Luxembourg Palace. The motion is non-binding, however. 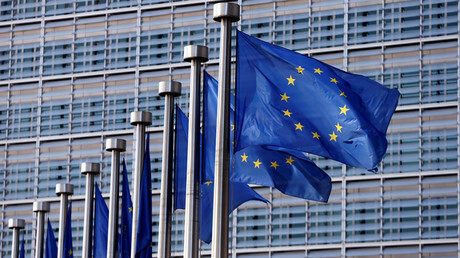 The initiatives of deputies and senators, aimed at pressuring the government, have “no binding force because the renewal of the embargo is made in Brussels and requires unanimity of the 28 Member States,” Le Figaro reported. 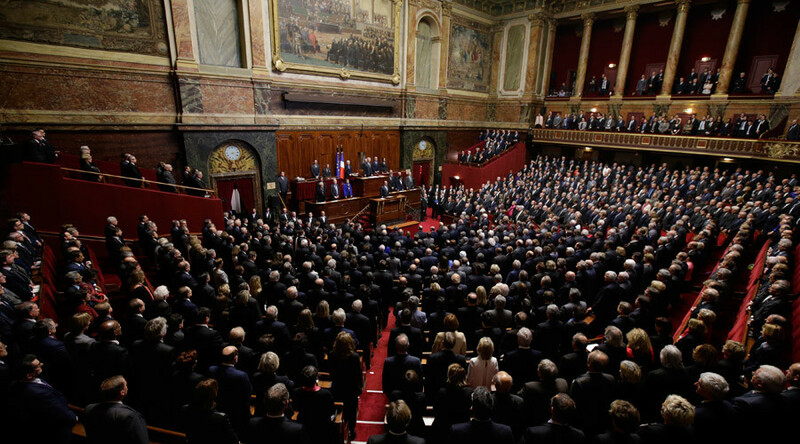 In late April, 55 members of the French National Assembly supported a similar resolution, submitted by 85 French MPs calling on the government not to extend EU-imposed sanctions on Russia. 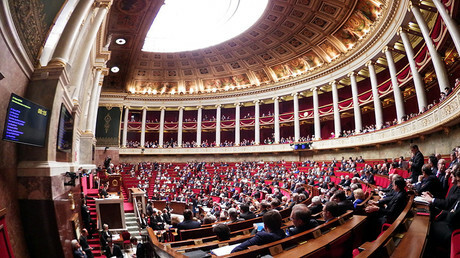 The debate on canceling sanctions was held at the National Assembly for the first time. Thierry Mariani, a member of the center-right Republicans party, who initiated the parliamentary debate, said anti-Russian sanctions should be lifted because they only cause harm. "We are demanding that the sanctions be lifted because they are totally ineffective and they are dangerous for our economy," he told the Assembly. "I have seen our minister of agriculture standing in front of our farmers and say 'We have to lift the sanctions.' I've seen the minister of finance reiterate the same thing. And all they do is say 'We can't do anything, Europe is to blame'," the MP told RT in April. German Foreign Minister Frank-Walter Steinmeier said last week that a number of EU states are reluctant to extend anti-Russian sanctions. The big question is whether the 28-nation bloc will nonetheless decide to renew them after they expire on July 31. "The sanctions are there to ensure a political solution,” Steinmeier told reporters last Tuesday. “I don't know what the European Council will decide on Russia sanctions," he said, adding that the recent release of Ukrainian pilot Nadezhda Savchenko from jail would hopefully "bring a new dynamic into the talks between Russia and Ukraine." A number of prominent European policymakers and businesses have emphasized that sanctions have proven pointless and economically damaging for all parties. Italy and Hungary said last month there could be no automatic extension of EU sanctions against Russia, Reuters reported. In mid-May, the council of Italy's Veneto region adopted a resolution calling for the country's government to work toward lifting sanctions against Russia. Twenty-nine out of 51 members of the regional council voted in favor of the resolution, while nine voted against, Interfax reported. Italian lawmaker Stefano Valdegamberi told Sputnik that in just one year the Veneto region lost over €600 million ($679.8 million) due to the slump in exports to Russia. Some, in contrast, have been calling on Brussels not to relax sanctions on Moscow until the Minsk peace agreement is fully implemented. Poland's Deputy Foreign Minister Konrad Szymanski has recently warned that lifting sanctions would weaken the bloc's position vis-à-vis Russia. "The European Union's authority ... in the future depends on the successful influencing of Russia through sanctions," Szymanski told Reuters last week. Since 2014, EU and US sanctions against Russia have targeted Russia’s financial, energy and defense sectors, along with a number of government officials, businessmen and public figures. Moscow responded by imposing an embargo on agricultural produce, food and raw materials against countries that joined anti-Russian sanctions. Both sides have since repeatedly broadened and extended the sanctions.